Sometimes it can be hard shopping for Mom— sometimes she assures you your presence during the holiday is enough of a present, but treating her to something special is always a good idea. I love grabbing beauty gifts for my own mom during the holidays, since it lets her take time for herself, primping and pampering. 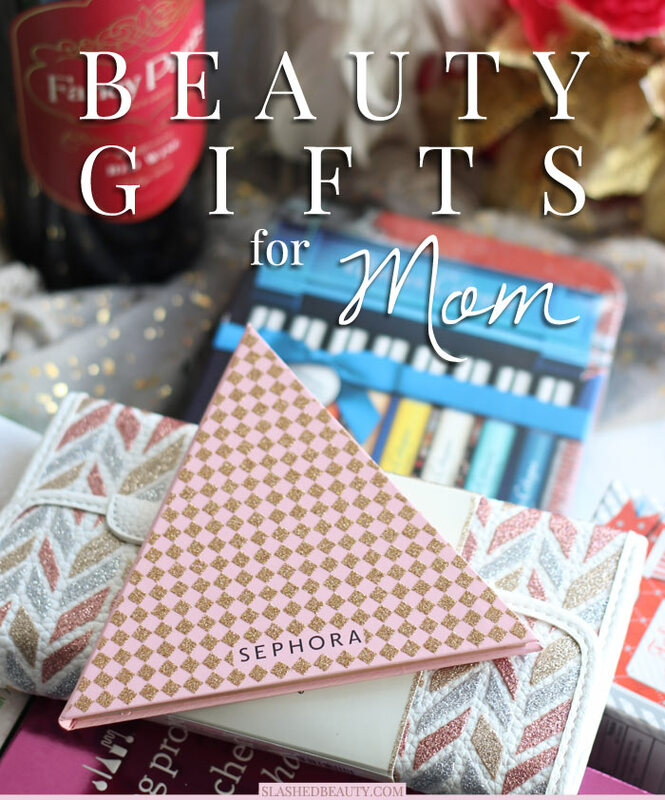 These six beauty gifts from Sephora are perfect to pick up for Mom this holiday season. They’ll let her discover new favorites without stepping too far outside of her comfort zone. One thing that I can’t fathom is how my mom uses the same brushes as she did practically eight years ago! I’m always helping her build up her brush collection, and this is a great set for all of the essentials. 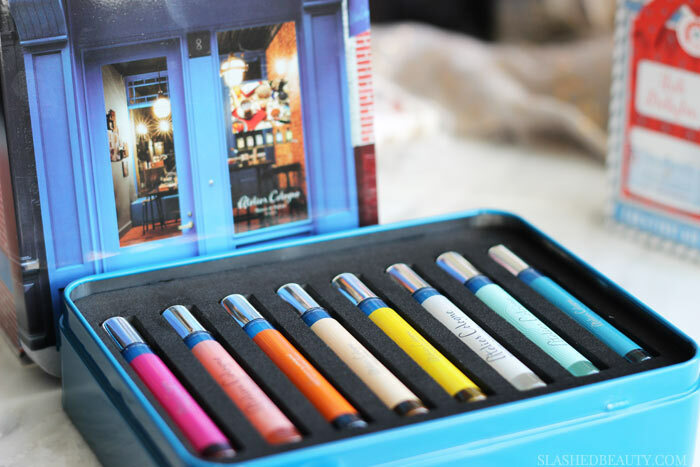 The seven piece brush set comes in a super cute decorative brush case that makes it easy to store and travel with. 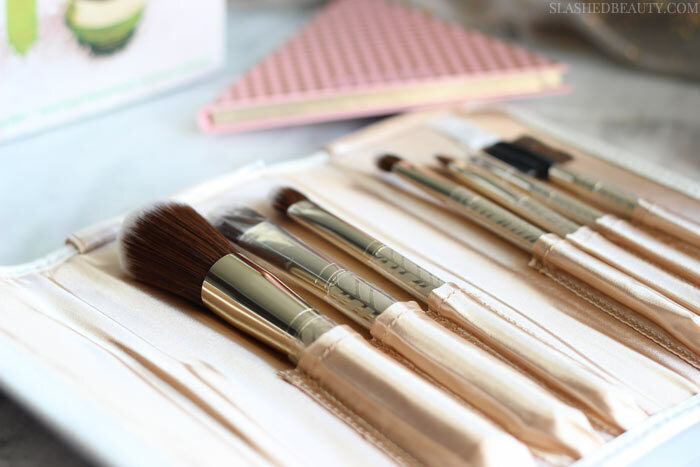 The gold handles are super luxurious and the bristles soft for effortless application and blending! As women get older, taking care of the skin is essential. 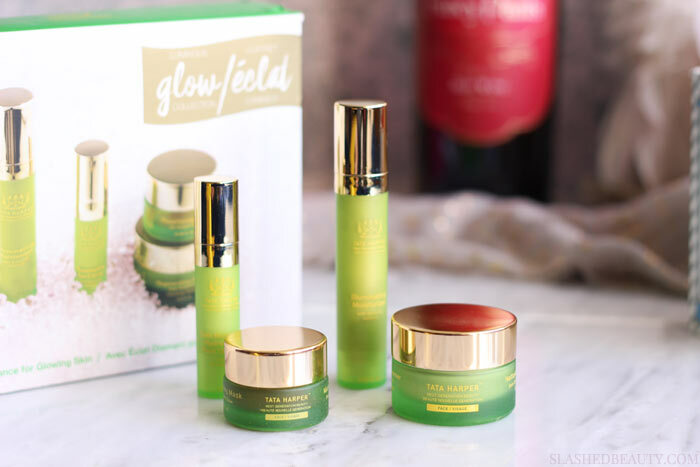 This four product set is great for all skin types to enhance your mom’s glow. The kit includes four cult-faves from the brand: Regenerating Cleanser, Resurfacing Mask, Illuminating Eye Cream and the Illuminating Moisturizer. 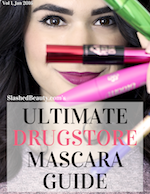 They’ll help even skin tone and texture while minimizing pores and eliminating dullness. What’s better than gifting perfect hair? 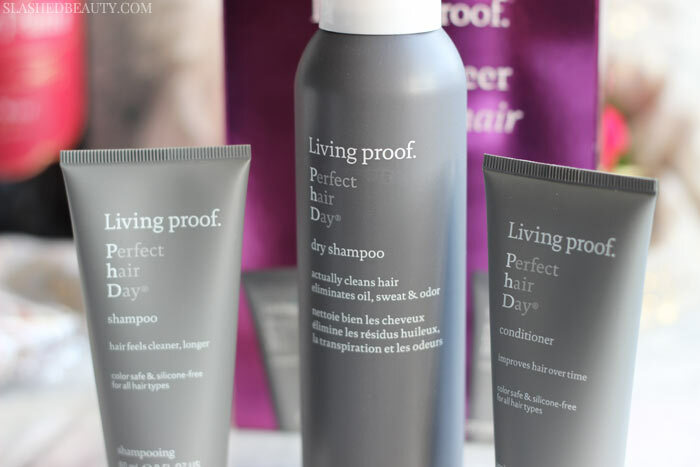 This set includes staple products to achieve and extend great hair: Perfect Hair Day Shampoo, Conditioner, and Dry Shampoo. Her hair will be looking and feeling more healthy and easy to style to cut down on fuss time— isn’t that on every mom’s wishlist? Your mom might have a signature scent already, but this perfume collection is fun way for her to play around without commitment. Eight mini fragrances inspired by florals and fruits from around the world from Morocco to California that are concentrated so they last on the skin. They come in a beautiful keepsake tin she can re-use later. 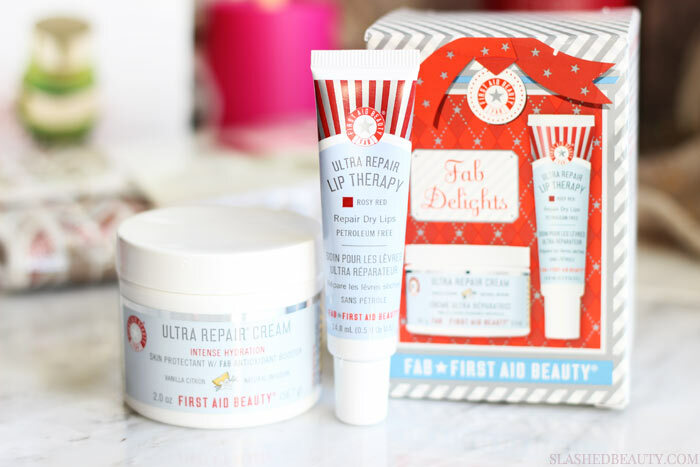 A great stocking stuffer, you can never get enough lip balm and body cream! The Lip Therapy comes in the shade Rosy Red for an effortless and universal hint of color to enhance the lips while providing intense moisture— perfect for the chilly season! The Ultra Repair Cream is a soufflé-like body butter with a subtle zesty vanilla scent for rich hydration and soothes stressed skin (including eczema!). 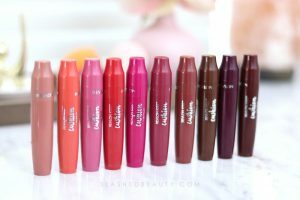 This one is currently out of stock after their Black Friday sale, but may be re-stocked or found in your local Sephora store. This 9-shade palette contains neutrals and pops of color for easy eye looks Mom can master in no time. In the palette are diagrams to inspire your looks, but whoever picks this up will have fun playing around with it. 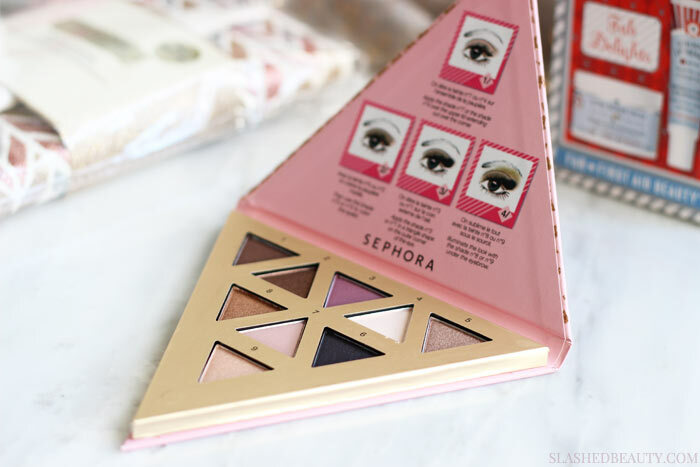 The palette is slim and triangular, making it easy to slip into a makeup bag. What beauty gifts for Mom are you picking up this year?